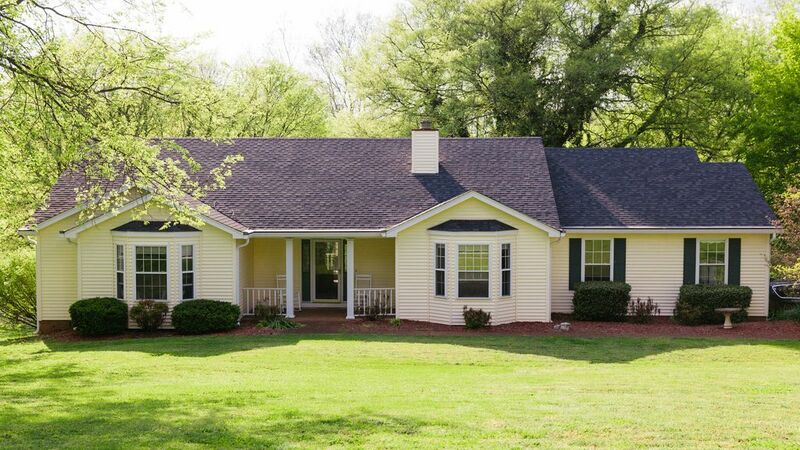 Super Hosts invite you to reserve your stay at this beautiful ranch style lakefront home that is located just minutes from downtown Nashville. A perfect vacation for your family, multiple families, reunions, celebrations or just relaxing and enjoying the best of both worlds. Enjoy the pool (open May-Sept), lake, shopping, great local dining and then kick up your heels on Broadway. This home has a fully equipped kitchen, barbecue, dining alfresco or formal dining inside. The beautiful lush property in right on the lake with a private dock. There is something for everyone! **Due to weather the pool is NOT in use and is covered during the fall and winter months. October - April. During the summer months. The pool IS in use and to be enjoyed from May - September. For quests over 4 there is a taxable $20 for each additional guest, per night. There is something for everyone! The property is gorgeous and accommodating for a large group. We came to Nashville from four different states to share a family weekend. We were happy to see the reviews and summary provided on HomeAway were spot on. The house is large and accommodated our group of ten perfectly. Great commons and private areas for both the extraverts and introverts. It’s about 25 mins from Broadway and all the fun you could ever want. The oven was a bit of a mystery for cooking but the grill and stove top work great. Loved the house and we are greatful for the chance to make memories like we did this weekend. Thank you!!!!! We are so pleased you enjoyed your stay! We would be happy to host your group again. Highly recommend staying here! Very clean, kitchen well stocked, great space! We will definitely stay here again but we will come in the summer to enjoy the pool and lake. Close to downtown. We Took a Uber and it was only $22. My wife and I were in town to visit my daughter's family and we decided to stay at this home nearby. We were very glad we did. It is located within a very nice and quiet neighborhood. The home is large and clean and the owner was very responsive to my questions. This overall experience exceed my expectations and we will certainly make this property a go-to when we are visiting in the future. My family and I had a fantastic stay! The house is spotless and the pool saves the day in the summer heat. The layout of the house is perfect and gives privacy but has plenty of room to gather. Nashville is an amazing city to visit. The trip from the home to Nashville is an easy drive and mostly highways. It does take about 30 minutes to get downtown so an Uber is really out of the question, especially during peak hours. If you are traveling with a larger group, consider renting a van as it was much easier to park one car, than two downtown. We found that parking downtown is not bad on weekday evenings, but can be costly during other hours. The home is located within a short drive of gas stations and supermarkets which is a perk. If you plan on renting a pontoon, be aware you most likely cannot dock behind the house as it is too shallow and full of logs, although I’m not sure if this changes throughout the season. The house is stocked with everything you could need, and the hosts are very nice. If you have a child with you, the pack and play is a nice accommodation. Also, my son loved the Nashville Zoo. It was small, shady, but had a lot to see. Note: Check in time on reservation said 2:00, but we were told the home would not be ready until 3, and that 3 is typical check in time, so plan accordingly. Enjoy your visit to this beautiful home, we sure did! Thank you for your review: The Army Corp of Engineering controls water levels in the lake and can cause docking issues at times. We are working hard to remedy and should have the dredging completed by the end of this summer. All of the logs you spoke of were removed 8/18/18. We are in a cove and work hard to keep this area clear for our guests. We make the drive to "Honky Tonk" downtown and the typical commute is 22 minutes. The house and property is very well maintained. The owner's are amazing! Professional and helpful! Great place to stay for our family vacation. We stayed here in May for a hairshow convention downtown. The home is beautiful and well kept. It had many amenities and plenty of kitchen appliances. It was close enough to uber downtown but also had a nice relaxing lake house feel. We went to Awedaddys for dinner friday night on the lake. It was a fun atmosphere. We rented a pontoon boat from a local marina on Saturday. The lake was very nice and calm. We drove past Johnny Cashs old home and Kelly Clarkson's on the lake so there where some nice sights to see. We followed up the day in the inground pool in the back yard. Sunday we ubered downtown. If you get the chance check out George Shingelton. He is a Doc Holidays often. Merchants was a great spot for lunch. So if you are looking for versatility in a gorgeous setting this home is perfect for you. We will be back!